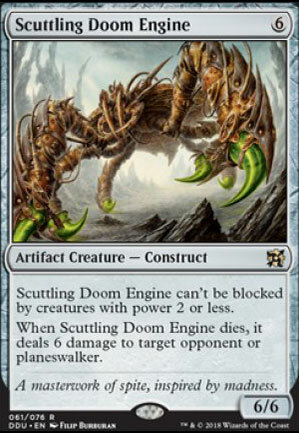 Scuttling Doom Engine can't be blocked by creatures with power 2 or less. When Scuttling Doom Engine dies, it deals 6 damage to target opponent. 206 decks jouent cette carte.